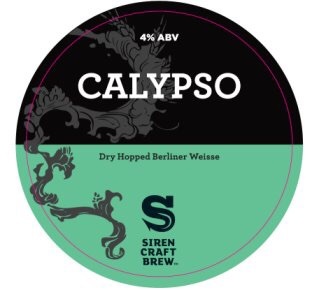 Calypso, Siren Brewing. — theBrew.ie. | Brews. Beers. Bars. Banter. Calypso, the goddess known for her sharp tongue. This beer is our homage to this enchantress, a tart, spritzy Berliner wiesse that is liberally dry hopped with a different single hop. To tell which hop you have in bottle you can tell by the colour of the bottle lid or the batch number. Pours a golden straw color, just under 1cm head that dissipates over a minute or so. While still quite clear theres a slight haze lingering. Dry hopped beer, while the aroma from this beer wouldn't be as hoppy as a dry hopped pale ale or IPA, there's still a very indulgent sensation upon giving this a sniff! The type of beer is a "Berlinerweisse" which is a sour style of beer, combined with the dry hops presents a very exotic aroma on the nose, without being too intense. This one I had was on draught and served quite chilled. With that, as with a lot of sour style beers the taste would evolve over the life of the glass. Initially a lot of the sour sharpness was inhibited by the cold temperature, but gave a great opportunity to appreciate the crisp light body of this beer. Over time the sourness of this beer came out slowly, bringing with it a pineapple like tropical tang to match the aroma. I got this one at the end of a long day in the office, it was a fairly warm day so it really hit the spot! To make sure however that I wasn't making a biased decision based on a post work pint, I had a second pint and really enjoyed it, probably more so than the first! If your not a fan of sour beers, this one probably won't blow you away but in comparison to other beers of this style where the sharpness and sour tang can be a bit much, this was nicely balanced and would even make a great example for someone looking to try their first sour! 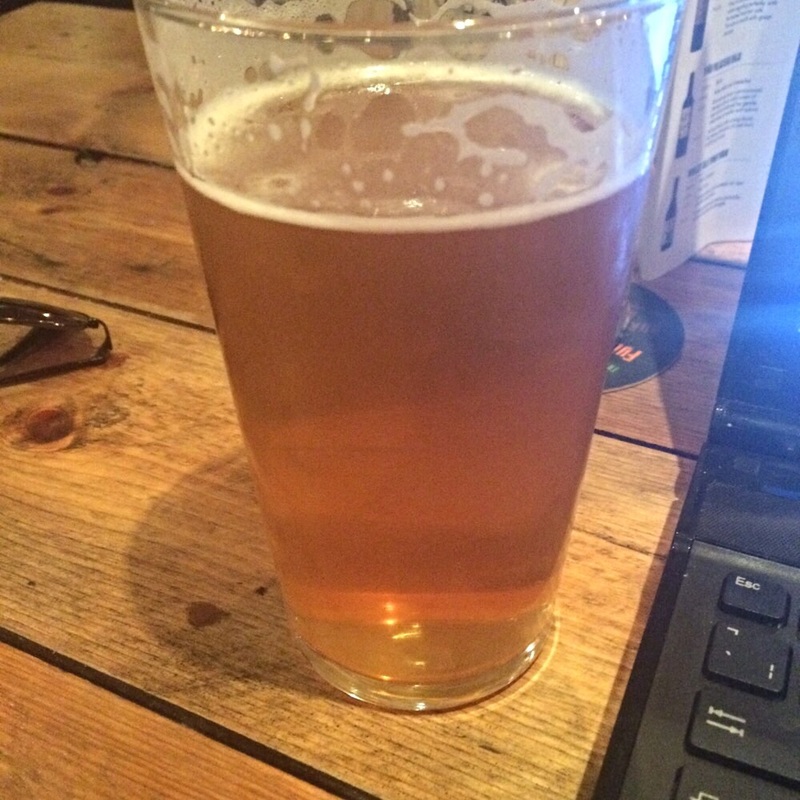 I gave Calypso 4.25/5 stars on untappd. Quite keen to try more of these with a different batch / dry hop or even how a bottle would age over a few months. So have you tried this before? If so leave a comment below and let me know what your thoughts were! What should I be looking for next that will be like this or even top it! ← Change of the Guard - Galway Bay Brewing / White frontier. A very simple, basic but brilliant brew. I brewed this in late November 2015, to be ready for a New Years Eve bash in the house over the holidays. A good crowd pleaser, balances well with conservative citrus based hop & low to medium caramel/toffee flavours, subtle fruity-ester aromas and light enough finish that still offered a creamy mouthfeel from the wheat additions.